The Shawnee glacier is a vast expanse of frozen tundra to be found, almost as if to defy common sense, affixed to the northernmost portion of the Wastelands. 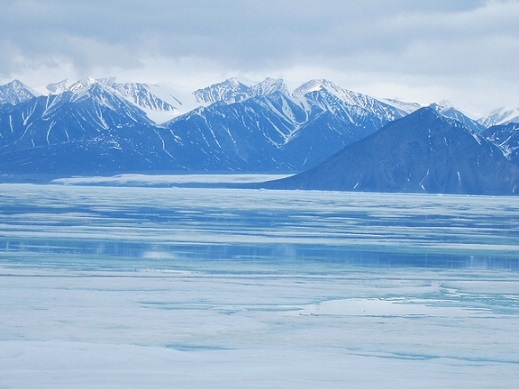 No portion of this harsh, unforgiving, expansive land has known temperature readings higher than zero degrees Celsius and certain spots of it have graded cold and bitter enough to make metal as brittle as glass. Despite these inhospitable surroundings, life is a tenacious beast on planet Valucre, and somehow the Shawnee tundra has become home to a few disparate humanoid tribes and host to a small variety of other species. There is very little plant life that Shawnee's inclement climate is capable of sustaining and, as such, the hapless adventurer ought to be made aware of the fact that those few creatures to be found here are carnivorous and almost always an apex predator in their chain. Spots of the Shawnee are absolutely saturated in magic. Telemetrics report that the concentration of magic among some of the highest levels in Valucre is to be found in the Shawnee tundra. Near the top of its various peaks, in particular, the ice is said to be made of crystallized energy potent in any of its various forms, from solid to vapor. It is also rumored that among its highest peaks lies an entrance to the center of the earth. Cold rock for a cold heart (artifact): Having learned vague information of an armor artifact, Vex travels to the Shawnee Glacier to try and claim it for himself after his own armor is out of commission. During his journey, Vex comes across Sebastian the beast hunter and Gladstone, an old acquaintance. The three learn of a renegade group of barbarians held up in a stronghold and seek them out for more information, but they are attacked by a Landshark. Gladstone and Sebastian departed after taking components from the creature and Sebastian made it through the stronghold, where he was able to claim Sheobrazi's armor. Blaidd's Barony: Recently a warlord has united the once disparate tribes of the Shawnee Glacier, and formed a growing barony.